Fell’s most common and clan based feature would be his blackish brown hair which sits on his head in a messy fashion, contrary to his rather neat attire of clothing. His eye’s are a deep sky blue which can be used to spot him out from all the other red eyed members of his clan, the right side of his face also contains three vertical scars that stretch the whole length of his face. His physic itself has a rather lanky build to it, but after years of hard work his body has built up a large muscle mass. His arms have a full toned look and are equally toned. His lower body has been built up, to support his upper strength at a decent and healthy level. Through natural development Fell has gain a fully muscular and functional body. Fell, sports a large amount of markings on his person, the first one someone would notice would be the horizontal blue rectangular across the center of his face. The mark itself is made of a blue ink and is set in place with a sealing jutsu making it impossible for anyone but the clan elders to remove, which is unfortunate for Fell, as the location represents his high power level, the blue color represents his disgrace to the clan and the single mark represents his failure to remain fully loyal to his village. The other point of interest in his markings would be the Karaus clan symbol, a full Crow with it’s feathers being flailed around in an elegant manner, representing his membership to the 1st dynasty of the current Karasu Clan. In truth his symbol remains on Fell’s arm by his own wishes, not to show respect to his clan but as evidence of what he truly is capable of. The Akastuki member has two sets of clothing that he will commonly wear, the first being his akastuki robe, common to all members with its black background and scatter red cloud décor, Fell only wears this when operating as a full member of Akastuki and wanting others to know it. The other set would be his common clothing. They consist of a thin black shirt, with a white undershirt, loose black pant’s that allow the wearer to move rather quickly, Finally a black bangle can be found on his right arm and white bandages on the opposite arm, the purpose of these is simply for emergency and some jutsus. What it will take for him to have the edge at all points. Though quiet, Fell is no where near what can be defined as shy. When in a comfort zone, he will be fully of witty retorts and remarks that will be designed to antagonize his opponent confusing them beyond sanity. His comfort zones consist, of tense moments and high stress situations, giving him an advantage over others who tend to get in over their heads and over stressed. Along with his interesting battle personality, Fell has a policy of training to extremes but not to the point in which he is unable to perform at a decent level, even with the hard training Fell has been able to maintain his cold sarcastic sense of humor. The Akastuki’s member has two different levels of relationships with people that can actually be seen. The first of which is a somewhat professional level, in which he really only allows the needed emotions to get involved and that’s all. Fell will treat those who he hold a professional relationship in a manner that seems to appear as almost a form of contempt. Cold and unfeeling is all that those who mean nothing more than tools to him will see. While with people that are close to Fell, they will perhaps see how he actually cares for his companions wishes to see them succeed. Those who open up to Fell, will sometimes reach the point of him actually, becoming attached or even a strange emotion for him, attracted to them. Fell seems to display him self as an enigma, whether it is intentional or not; Hiding his past in the shadows showing his emotions in dark and cold ways. Every once in awhile Fell will find someone worth letting into his life and allow them to see truly his world. Dislikes: Family, being controlled. absolute order/chaos. A young child was born into the Karasu clan at troubled times; the clan itself was warring for power; it had been divided up into six dynasties based upon the six different lines of rulers. The child had been born into the first Dynasty, the one that the clan founder, Karasu had belonged to and as such was expected to become a symbol of greatness. If only it had been so simple, the child, Ryataki, had been pushed to his limits since the moment he began crawling. Crawling of course was not enough, he was pushed to walk, speak, and perform hand signs, anything that it would take to make him the next leader of the Karasu Clan. By the age of eight, Ryataki had proven himself to be a power full member of the clan, and perhaps the strongest of his generation. After his graduation, which to contempt of the other clan mates was at the age of Ten, Ryataki began to act as a ninja and warrior for the village hidden in the clouds. At First he was sent out on simple D-rank missions, finding lost items, escorting others across bridges. Through persistence, Ryatki was able to make an impression on hiss peers, but not so much his clansmen. There was once a point in time, where they considered having the child wait awhile to participate in the up coming Chuunin exams. The boy who had been bread on hard work, was determined to show them different, and disappeared from the village for 3 days and nights. With in this time, the child had found and beaten a large lizard like monster on the outer limits of the village, during this time his eye’s had began to change showing signs of the Doujutsu. Seeing a chance to exploit this, the members of the 3rd and 4th dynasty pushed the clans’ approval of sending Ryataki to the chuunin exams. The Chuunin exams were being held at the distant village of hidden rain. After the week of traveling by day and training by night, they reached the village of looming towers. The Karasu heir was mystified by the industrial wonder at first, site they had a full order checking and keeping in check every person inside and outside. Within days of arriving the first of the exams had begun, it was as usual a written test. The idea was relatively simple, six fake genin had been spread about the room, each with a different set of answers, those who passed the test were the ones who managed to get at least one set of answers per team without being caught, The use of his partial doujutsu, allowed to view a large amount of the papers with ease. The next phase, took place in three connect village, in which fifteen head bands were stored, the teams had to find three scrolls, and use the jutsu in side to track down a head band, that could possibly be held by another team. Once gaining the head band the team had to reach the upper most district of the city, in which the final round was to be held. The child, was set to face off against another member of his clan, the battle it’s self was long and drawn out; Physical attacks were Ryataki’s only option as his ninjutsu was easily torn apart, and his Clan based chakra had no effect on a fellow clansmen’s body. In a last ditch effort he activated his doujustu, the over whelming bend up force was unleashed as one quick blow of chakra fire, that physically caused the portion of the tower that Ryataki was located in to fall. The damage done to his body was minor thanks to all the precautions taken around the village. His achievement had sent the child into he chuunin ranks and earned him a new nick name, “Fell”. Fell, as a chuunin did not do much as a ninja for the most part, he acted as a guard, defense against acts of aggression. His problems during that time rooted from the existents of violence between the heirs of the six dynasties of his family, the battles were small and did not disturb the village itself until an inner Dynasty battle took place. During this fight, the current leader, Fell’s cousin was killed, leaving the spot up for the grab. The other Dynasties thought they would finally overtake the clan, but it was a mistake, as Fell born on sweat and blood took over and by use of his skills managed to reunites the 1st dynasty in to an unstable union but a power house none the less. This union marked the end of the first, Dynasty war and the start of Fell’s leader ship. With his new accomplishment, the chuunin was asked to take a hirer seat within the village, this was also a reward of sorts for ending an inter-clan war, Fell was given the title of Jounin. The new found peace last a mere year, as towards the coming of Fell’s eighteenth birth day, the 6th dynasty of the clan was almost consigned to oblivion from a raiding village hoping to weaken the Cloud village by weakening the Karasu clan. Unfortunately with the fall of one line of the clan’s blood, the remaining members increased with power and say, increasing the feuds and impatient for change and action. In a last hope some younger members of the clan decided to assassinate the young clan leader. The attack had been rather foolish consider that, the younger members had never had a chance to see the use of their great clan’s doujutsu and so were quickly dispatched of. Enraged, Rya allowed his twisted chakra to over take his emotions, leader to a quick death of the leader of the 3rd dynasty one of the coordinators of the attempt. In the end Fell was no match for an army of seasoned Veterans, and as a result was captured and imprisoned, on the act of treachery to his clan and village. After a month, the raikage had order the transfer of Fell to the village allowing him to be under full control of the cloud village. Despite protests he was eventually removed from his cell and given custody to the well armored anbu corps waiting to haul him away to certain doom, his way with people would not save him here, but a whim could. In a last minute effort Fell unleashed all his stored chakra in the form of his clan’s cursed Chakra. Untrained in the art of maintaining such a power form, Fell was only able to sprout crow like wings and sparsely injured the guards. The Freedom only looked as if it would last a few hours, when the ninja collapsed his body beaten and torn from the over use of his natural abilities, but he couldn’t stop moving; It was as if a conviction of pain and irony forced him to live on to show his clan what the world could and would be. Despite his resolve the word stop, his heart nearly gave out in the middle of a barren land. By Chance or perhaps not a traveler picked fell up and transported him miles away from his home. Upon waking up Fell found his self in the towered city that mystified him all those years a go, the man had disappeared but different presences lingered. With a burning Resolve, Fell joined the remnants of Akastuki, ready to shift the world into shock and has spent the last year hidden in the shadows, what his training and new extent of his power is unknown to himself. The Karasu heir had set himself in route back towards Rain, preparing to find more to support his cause. A victory too short is always too hollow, and so describes the winds of changes, what a man must see to become a new, the real next chapter if you will. The murky depth of victory rose upon the young ninja as the women who he had attempted to attack, faded in mere memories. The damage was done the victory was, in his hands, but then again so was the swamp that hand become a dying breath. The room slowly became a picture out of a jungle picture book, the iron walls and ceiling nothing more than a muck like substance, that rose with every ticking second, until the swamp hand reach Pharos’s waist. The ninja’s struggle was slowed down as his movements became restricted, the liquid rose a an even faster rate, his neck, now feeling the sticky soft earth pull on it. Then it happened, the full submersion, air gone the feeling of dizziness, then the mere sliver of hope. A lightning blot enter his body, the redirection, may have just been his shot a survival, the body, charged with lightning flew towards the surface. Freedom….in…3...2...there his hand was above the thick earth base substance, perhaps now he could work his way out of the mess, but the hope was nothing more than false as his free appendage was sucked back down in to the pit of despair. The ninja’s eyes dimmed as the lack of oxygen caught up to him, Pharos’s golden eye’s went completely dull, and his conscience faded into nothing more then a second thought. The body, floated in the vast swamp, as the kage faded away, his lights out, his mind quiet, but somewhere deep with in the man’s inner works a force awoke, one of monstrous proportions, the thing that might as well had just saved his life. Color’s failed with in the man’s mind, then an image came into view, it’s murky color’s like that of the swamp that he unknowingly floated in. The creature, was larger then any living thing that Pharos had encountered in his recent life. The beasts appearance was cover y a murky colored shadow, that only allowed, Pharos to view, seven large appendages failing in all directions, six of which held a leaf like appearance. and the last was obviously a tail. The creature, was also restrained, the site of the dark chakra like bars, alerted Pharos to what he was seeing, ‘how, long has it been…’ the pause in though was as if the Kage was collecting his in his surrounds, ‘Shichibi?’ The figure, twitched with in it’s prison, as the movements occurred the inner realm it’s self was distorted in appearance, memories of both beings past appeared in the back ground as the bijuu entered a fully aware state. All the movement halted, ‘Time has not passed since the day I was imprisoned, in such an unworthy host too’ The monsters voice erupted in a tone of indifference but yet angry at the same time, it was all but human. ‘You have succeeded in putting use into a death lock situation’ Pharos, was baffled in a sense, even though he understood the reasoning of demon, if he died so did it. ‘Only one solution remains..’ The demons erupting words were cut off by Pharos’s equally conflicting thoughts as they were translated into words. ‘I refuse, you would take over and run rampant’ the phrase ended as a feeling of light headiness, filled the realm, his body was giving out, he could not hold up, The demon knew this before a word could even be spoken ’Let’s take this for a test ride.’ The voice cried as a new chakra filled the realm. A body, that seemed dead as it sunk down towards the bottom of the swamp, it was motion less, then a twitch and another and another. The golden eye’s peeked open just a crack before they flew open all the way. The bodies movement slowed once again, it looked like another feeble attempt maybe his last, but as the body went still a new chakra coated the Kage, his golden eye’s became watered with an over whelming blue color. Chakra poured out, the kage’s control had faded away, in a normal situation Pharos would have been able to control the beast, but his mind could not function in such circumstances, he and the beast knew that, and this was the way to survive ,for not only himself but for all people that waited for him back in his village. The man’s movement’s jerked as the chakra flow through his body, his knees and arms pulled up to his chest, and there they stayed for a brief moment. Wind began to circle the ninja. The wind cut through the swamp as it formed a spherical like orb around Pharos. The currents of wind reach the point in which they reach a few meters out from his body, and then the ninja forced his limbs out ward, causing the currents to fly out in every directions. The immense Chakra, did not only send the murky fluid flinging in all directions, the iron wall began to shifted in under the pressure, then it finally shattered. The Tsuchikage, came flying back into the meeting, interrupting what ever type of negotiations that were taking place at that moment. His chakra enhanced body, sped over the rushing wave of muck as it attempted to expand into the opening that his wish for freedom had caused. Pharos’s feet, set of solid ground as the demon inside him sent to work, one thrust of wind forced a crumbled piece of iron to skid in front of the flooding substance. The movement of the earthy substance, stopped the swamp lied thin, if any one had survived they could have possibly broken free from the rampant prison. Now in front of the iron pice, and his fellow Kages, stood a man who had became who he had once been. The blue chakra, faded from the Pharos as he retook control over the body, his appearance had changed drastically since his departure on to the other side of the wall. 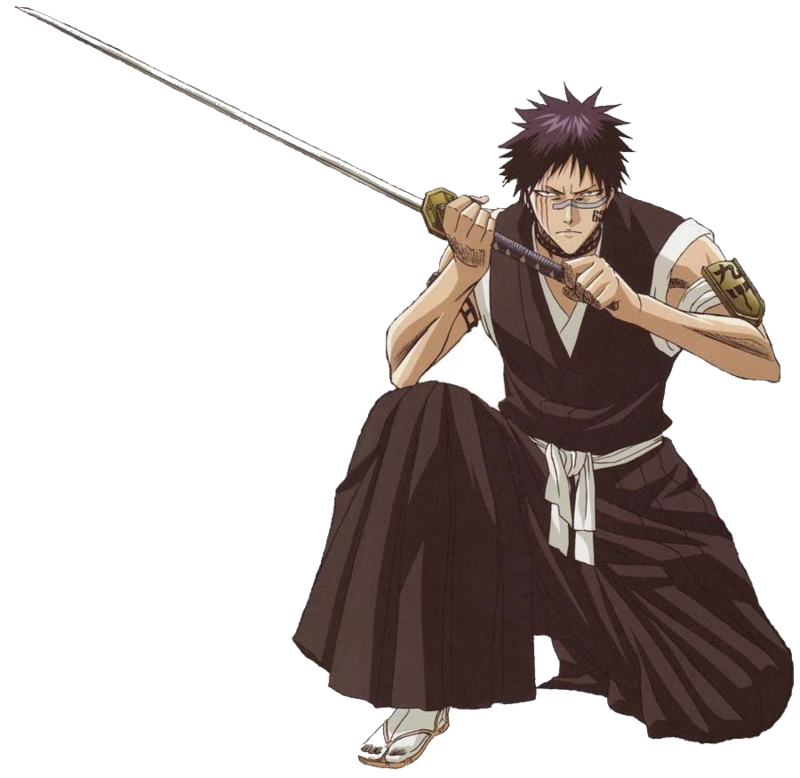 His Kage, hat was now charred and lost beneath the swamp, his dark hair was now shown covered and caked with a thick mud, the kage robe had been shredded from the immense pressure of the wind, leaving only his under clothing a purple fleece sweatshirt and a black under layer made for under cover operations. Now before his fellow Kages stood, a ninja who wanted to give everything for his village, the host of a bijuu thought lost to time. Before the council stood the real Pharos, successor of the Talis clan and The Tsuchikage.